oh I would love to have this ruler. I would love to have both! I LOVE the quilt you made. It looks fantastic. Yours is so cute, I think this is a project I'd enjoy, too. Thank you for this opportunity! Looks like a great book. I already have this ruler and love it! 16 strips made that 48" quilt? Yes, I definitely need this book! Please enter my name to take home the goods!! Yes, I am ready to have this book in my library and ruler in my stash, Vickie! Thanks for counting me in. The book and ruler look a must have combination! I would love to get my hands on this book and ruler. Enjoying getting to see inside it! Oh!!!! Your test block is stunning!!! I would love to win the tool and the book~~~ Thank you so much!!!! The quilt is wonderful - and seriuosly, you didn't trim! A dream come true :) This book and ruler seem like a dream come true. Thanks for the demo and the chance! What an amazing ruler.....love the quilt top you made. I like the pattern for pre-cuts fabrics ! You made a beautiful quilt. I would love to have the book. This looks like a great book to have, and I love your quilt in those cool colors! Simply LOVE your Merry-go-round! Excellent color choices and creative interpretation of the pattern! Besides this book, I think I've gotta have Fresh Fabric Treats as well. Wish I lived close enough to attend your book signing, but that gives me a vacation IDEA! I would love to have this book in my library and this ruler in my stash. Love your quilt, great for Summer! You had me as soon as you said you didn't have to trim! Thanks for the giveaway. This merry go round pattern could be my favourite too. But of course I have to have the book first to decide this for sure! And that ruler! So ingenious! The ruler and the book sure look great.I wish I can win to try them at once. Of course, I'm ready! Love books! There is nothing I like more than scrappy quilts and with this amazing ruler the sky is the limit. Love your quilt! Looks great! And I would love to have thisbook and the ruler! Thanks so much! fabulous quilt Vickie! thanx for the chance. I would LOVE to have the book and ruler. Thanks. I've been following the blog hop each day and have enjoyed the different reviews. Would love to try out some of those patterns and that ruler! I just love the Book tour,I discoved some tips, tools, and tutorials! So thanks for the giveaway, I will come back to see the finished quilt. Yes please! I am so ready to add this book to my library, thank you for the chance to win one. I love that quilt! Very beautiful. Thanks for the chance to win the book...would love to make one of my own. Love your choice--both pattern and fabric!! I love your quilt and would love to try making one myself! I love your quilt, it looks so fresh and would love to make one for myself! Beautiful quilt! I've enjoyed the book tour and would love to win the book and ruler! I love your rext: As a quilter, I like to see a book pattern done a different way, your own twist. Would love to try to make this quilt too. I love your test quilt and I especially heart the quilt on the cover of the book! Would love to win the book and ruler so count me in! Great quilt. Sure would love to win that ruler. I just LOVE new toys/tools!. Your quilt is looking great! I would love that ruler and book! Thank you! This books looks great and Id love to try the ruler. I dont currently have any books in presence for precuts. Thanks so much! Thanks for the post and a chance to win! I think this would be a great book to have and the ruler sounds like lots of fun! I love your quilt top! I love that the book uses precut strips! That ruler sure looks complicated but I'm sure it makes life easier! I am intrigued by the ruler and would love to be a winner! Cute Vickie! I like it. The book and ruler look great, and I am enjoying this blog hop. Thank you! I love the quilt you made from the book. This book and ruler is definitely a must have! Thanks for the giveaway. Yes, I am ready to have this book in my library and ruler in my stash!! Thanks for the giveaway, I know someone will be a very happy winner! Wow! Beautiful quilt. I am amazed at all the lovely quilts you hosts have made-not an ugly one in the bunch. I need to get the book and the ruler and try my hand at those. Thanks so demostrating! Hi! I love your little quilt and how helpful the ruler is! Would love a chance to win. Your quilt is so cute! I've been visiting what everybody has to say about this book and ruler and now ready to get my hands on it to try for myself. I'm so intrigued by this ruler and like the quilts in the book. Looks like a amazing book. Great sample quilt. I like it just the way it is too - no border needed. This looks like a great book and the ruler is a "must have" for me! Thanks. I like your quilt without a border also. Like your color choice. Would love to win the book and ruler. Thanks. Would be a great addition to a library! Oh I do like that quilt on point - with a white/light background fabric, it looks so cheery. Makes me want to get started! The book looks awesome, as does the ruler. It would be a fabulous addition to my library. Thanks for the review and giveaway! Love your test quilt! I sure would like to have this book and ruler. From all I've seen on the blog tour it looks like a great technique and a great bunch of quilts. Oh ~ I love that pattern!! Your Merry Go Round is so bright and cheery! What fun that is goes together so easily with the ruler. Thanks for the chance to win! Quickly becoming convinced that both this book & the ruler are "must haves" Love the quilt you made. The book and ruler look great! thanks for the review and giveaway! The ruler is so interesting can't wait to see more. Merry-go-round is one of my favorite patterns in the book. Love the ruler and all its uses. ohhh, cant wait to see this book and turn the pages! Oh wow! I love the twist of the pattern you did for your turn! How cute is that! Oh man, I hope I win a book and ruler. I want to start right away! What a great book and ruler! Love your Merry-Go-Round quilt. I have to get the book and ruler or win it! Love your version of Merry Go Round, what a fun quilt. It has been so fun to see all the different quilts made up using this technique and book. Oh how I want to win;-). Thanks! Love your quilt! Thanks for sharing. Can't wait to get my hands on this book and ruler!!! I've been thinking about getting that ruler for a while. I'd love to win one. I have jelly rolls just waiting for this book and ruler to arrive!!! Your quilt looks terrific! How can you go wrong with something that looks great and goes together with minimal work! I enjoyed scrolling through your blog! Your quilt looks beautiful! !It`s fun see all the differents versions in the same quilt. This book and this ruler look like they are both a got to have. All the different projects that I have seen on here being made. Thanks for the chance to win. Love the Merry-Go-Round Quilt. Gosh the ruler and book would be a blessing. Enjoying the tour. Love the book and the ruler looks like a fun one to play with! Can't wait to give it a try. I LOVE this book and would LOVE to win a copy! Thanks for the wonderful blogs! I like the Merry Go Round pattern a lot and your version is beautiful. Thanks for the chance to win. One of the best parts of quilting is seeing how different fabrics and settings can totally change the "look" of a pattern. Yours is delightfully cheerful --- hmm wonder how it would look in civil war. Thank you for sharing. Love your quilt top and the fabric you used. Would love to have this ruler...seems to make things easier! I'd love to try out this book and ruler. I love that you didn't have to do any trimming. I love your quilt! This book and ruler look fantastic. I sure could use a book, with new great idea's for my pre-cuts! ..and a ruler to help me make them! wow I would love to win this, I do not have the book and the ruler looks fantastic! I actually saw that ruler awhile back and wasn't sure how it would be used and passed it by - now I wish I hadn't. It's been fun seeing all the different blocks. And since I'm so in love with precuts, this book and ruler would be wonderful!! Wow, I love when people do a twist on a pattern...great idea! And love the fabrics you used. Looks like many possibilities with this ruler...thanks for the fun post! I love making scrappy quilts and especially step quilts. I'm excited to see this book. OMG! What a great and fun stash buster! Now I need to go see all the other blogs to see more. Thank you! What a cool ruler and and book. Hope my luck is working today. So many great ideas on how to use pre-cuts. Thanks for the chance to win. Love this blog hop! This looks like a very fun and easy quilt to make with lots of possibilities! I must have this book! Strips are the right thing for patchwork beginners. Very cool book and ruler! It looks like a great book and ruler! Your quilt turned out great! I actually heard about the book hop originally from your blog so been waiting anxiously to see what you were going to make. I love it...thanks for the chance to win! Really like your sample quilt! This book looks like a lot of fun. Thanks for the hop fun and the giveaway! TGIF! Your test quilt looks great. Nice and colorful. I would love to add this ruler and book to my collection. Thanks for the chance. Oooo, I love your merry go round quilt! I have to get this book and ruler! I have a jelly roll just begging for attention! I am just loving all the quilts from this book...a must have one way or the other! What a fabulous ruler and book! I would love to win! The more I see of this ruler and the book, the more I want to win! I love the quilt you made!! This book and ruler look great!! Must haves!! Thanks for the opportunity! I have seen the merry go round on other sites this week and I think its my favorite I've seen! Wow I love your quilt! Thanks for the chance to win. Thanks for the chance to win! Both would be put to good use here! Love your "test quilt"! I have some jelly rolls and it is difficult to pop them open without a good plan. This book and ruler sound like a great starting place. Thanks for the opportunity to win. I love your quilt! I'm trying to decide on a new-baby quilt and this is going to the top of the list - if I win a copy! What lovely color choices! I can't wait to win the book and decide which quilt to make with that fantastic, fail-safe ruler. Thank you! Your test quilt is wonderful. Your seams look perfect - great job. And I'd love to have this book and ruler - looks like fun! wow, i love the fabrics used in your test quilt. they're so cheery and bright! i'm going to have to try out this ruler - such neat projects from it. This is a great ruler and a great book. I love your interpretation of the Merry-Go-Round quilt. what a great project! i have yet to break down and buy any ruler other than my 6x12...definitely time to branch out! Your top looks great...and it seems like the ruler really helps. Thanks! LOVE TO HAVE THIS BOOK+RULER! I love your Merry-Go-Round quilt - it gives me an idea!! Thanks for sharing and having this awesome giveaway! Oh yes, I am ready to have this book and ruler. I am so loving all the quilts we've seen in the blog hop! I love the Merry-Go-Round Pattern! Soooo pretty!!!!! what a great way to see most of the projects in the new book!!!! Day 8 and 8th entry to hopefully win this book. I have just discovered strip quilting and am loving it because is is quick and every quilt is a delight. Thanks for this chance to win a great book. your quilt is GORGEOUS! I hope I win!!!!!!!! Your quilt is my favorite in the book!! This is a great giveaway! Lovely quilt! I would love to win this book and the ruler! Great giveaway! Ooo! I would love to have a copy of this book and ruler. Need to win this book/ruler as I have not found it in any of my area quilt shops. Sounds like these would make great hospice quilts. Thanks for the opportunity to win. This book/ruler set look more appealing every day - LOVE your quilt! I love the colors in your quilt. Thanks for another chance to win. In love your quilt! I went to the store, and looked at the whole book. I love it! Thank you for the opportunity to win! Very cute quilt. I always like to see patterns for the quilts done in different colors. Thanks for the chance to win in your wonderful giveaway. Nice job with the quilt. I am really enjoying all the ideas and fabric choices. This has been really interesting to watch daily everyone's projects and how great they have turned out and you didn't disappoint. Thanks for the giveaway. As my quilting time is very limited, I love working with precuts. This book and ruler look perfect! I love your quilt! I agree that it looks great without any borders. Thanks for a chance to win a copy of this book and the ruler. I'd love to win this book and ruler. It looks like the ruler could really speed up my sewing. The more I see, the more I want this book and ruler. Here's hoping! I like your interpretation of the book's block. Is this my lucky Friday? hope so! WOW! I really love the Merry-Go-Round Quilt you made. It's gorgeous and one of my favorite designs which makes me love it even more. I am looking forward to getting this book even if I am not lucky enough to win one. And the ruler sounds wonderful from all the reviews done by everyone in the blog tour so far. Thank you for doing such a great review. I am loving that Merry Go Round quilt SO much! And I agree with you - it absolutely doesn't need a border. Perfect as is. Now I wanna make one! I don't think my post works. I would love to win. This hop has been so much fun! 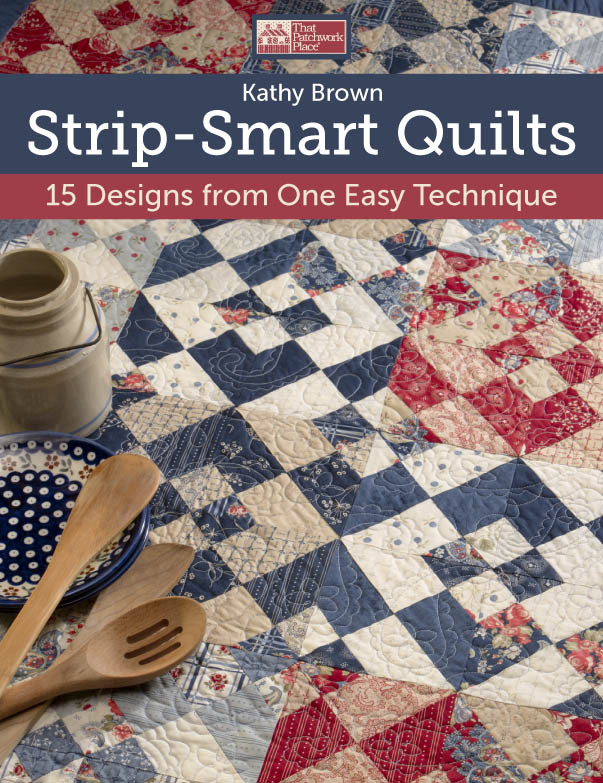 I love your quilt with the cheerful colors and would love to own Kathy's book and ruler! LOVE your sample and of course I'd love to win a copy of the book too! Thanks for the chance! I like your adaptation of her Merry Go Round quilt! Thanks for the chance to win! the book looks like tons of quilting ideas... and the ruler... Oh, please pick me!! With each review I've seen, this just seems more appealing! I can't even imagine making a baby quilt in a day! Thanks for the chance!! I don't know if I would be more excited to see the book or use the ruler, thanks for the chance! Very pretty quilt, would make a great baby girl quilt. Your quilt turned out very pretty and I like seeing them in different fabrics ... totally changes the looks sometimes. This seems to be a popular pattern in the book! I would love to try a new technique with this ruler and book. Thanks for the chance. I love your quilt and would love to win the book and ruler. Thanks for the chance! I am getting really excited about this book and ruler this week! This looks like a great book and ruler to have! I love how your projects turned out. Love what you did with this! It looks like such a cool tool to add to my ever-growing quilt rulers! The book sounds very useful too. Luvin' your version of MerryGoRound. I would love to add this book & ruler to my ever growing collection....they both look fantastic. Thanks for the chance to win! What a cute little quilt! I'm hoping to win a copy of the book and ruler to try these patterns myself. Fingers crossed! Oh my! The quilt you made is gorgeous - great pattern and lovely fabric!.....I can see that I definitely need a book/ ruler like this! What a cute quilt! Each day of the blog hop I am so inspired & would like to make each quilt foe myself. Just have to win the book! Thanks! Thanks for a chance to get the Book and Ruler! My Secret pal at Guild gave me a jelly roll I NEED this to use it up! Very nice - thanks for the chance.